Order one set per vehicle. For 2004+ S2000's ONLY. Wicked Tuning suspension components are used in race winning vehicles. 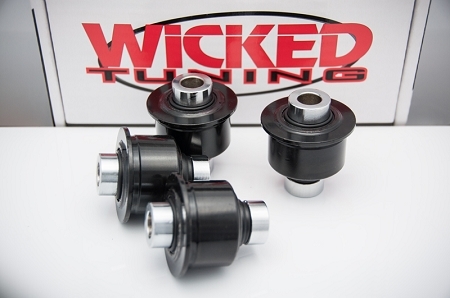 Wicked's specially formulated design and bushings are what makes the difference. Don't be fooled by imitations, though they may try to look the same, their bushings and quality does not live up to genuine Wicked components.